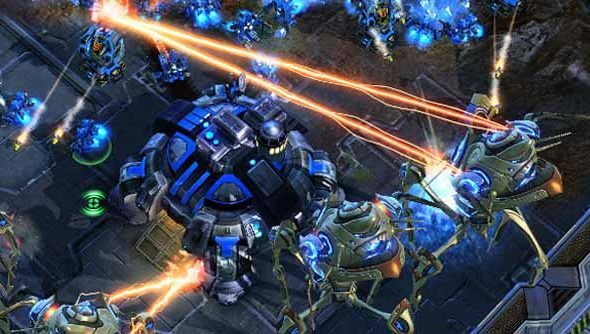 Starcraft 2 is going to gain clan support with the release of the Heart of the Swarm expansion, though this is only the first step. According to Blizzard’s community manager Kaivax, clan support is the start of a much larger social community Blizzard is providing the tools for player to form. More on that after the break. Kaivax, in a blog post on Battle.net, gives a first look at the upcoming clan system and how players can use it to form cohesive teams to play together online. It provides members with a window for private clan chat, team news, info, and a members list. Not the most exciting window you’ll ever look at but welcome nonetheless, till now players have used outside software and a mishmash approach to forming regularly playing groups of Starcraft 2 players. These groups sound like tehy will be much more organic things, chat rooms based about interests. They’re interesting because Blizzard are trying to hold their players within the game, provide tools to form a strong community tied by more than the game; like a version ofReddit in your game window. Although releasing with Heart of the Swarm, the new features will trickle down into Wings of Liberty also.